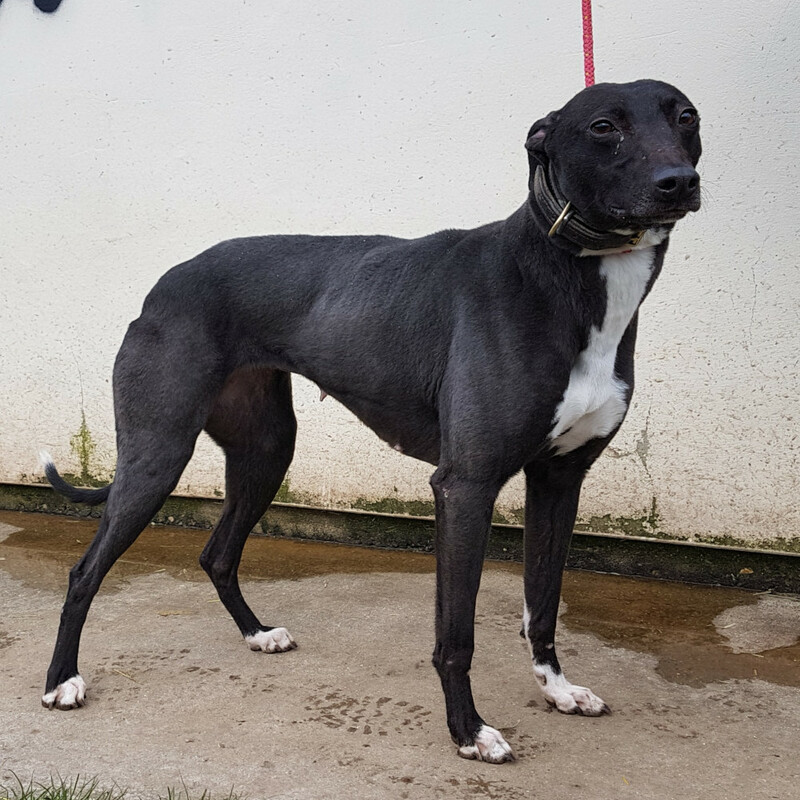 Mavis is a lovely black coated Lurcher with a flash of white on her chest. She is 2 years old but looks more like 4. She is ok with other dogs and kids but does not like cats or other small furries.